Perfect for Baking and Increasing the Stability of Egg Whites and Soufflés. 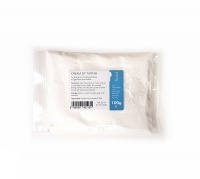 Our food grade Cream of Tartar powder can be used for any application. 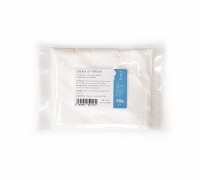 Cream of Tartar has the chemical name Potassium Bitartrate. Its produced from its crude form (Beeswing) which is refined and purified to produce a white odourless powder. 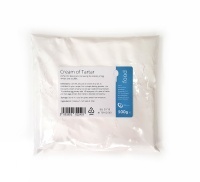 Cream of Tartar is actually a salt of Tartaric Acid and in baking is usually combined with sodium bicarbonate to make baking powder which is used a leavener because it releases carbon dioxide gas when baked or cooked. 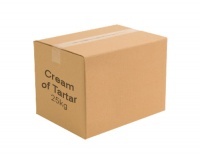 Cream of Tartar is most commonly used in cooking. 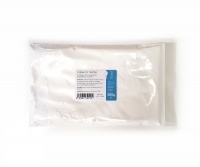 Mix Cream of Tartar and Sodium Bicarbonate in the ratio 2:1 (respectively) to make a simple baking powder. Cream of Tartar is added to egg whites or whipped cream to increase the strength of the bubbles to give a stiffer consistency. Cream of Tartar can be added to an acidic liquid such as vinegar or lemon juice to make a cleaning paste. This is good for cleaning metals including copper, brass and aluminium. Cream of Tartar has been used as a laxative to loosen stools. Although it may not be safe due to its relatively high potassium concentration. 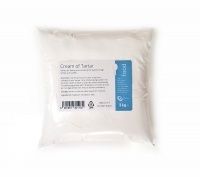 Cream of Tartar is also used in the making of play dough and can be used to make your own play dough at home (with other ingredients).